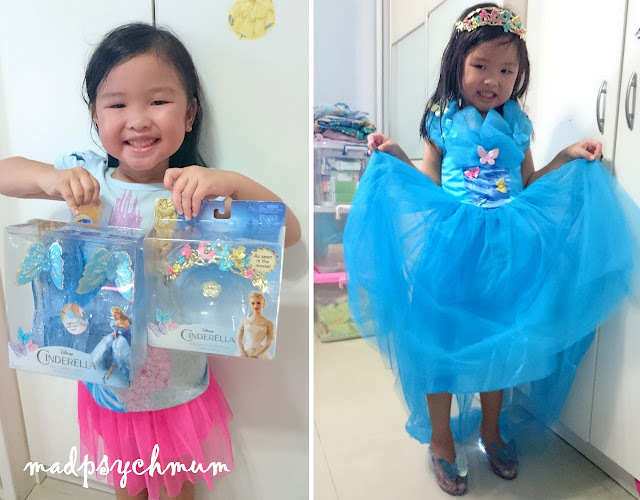 Her paternal grandmother got her son, who is living in the USA, to buy the Cinderella dress and assessories for her. Sadly the former was sold out so he could only buy the latter. I eventually got her a dress from Qoo10 at S$22, which was cheap but the material wasn't fantastic and the look didn't resemble Lily James' dress in the movie (I figured that there was no point spending a lot of money on a dress that she's only going to wear once). It was good enough for my girl though, who loved her outfit! Left: Cinderella's glass slippers and her crown! As with the year before, my girl helped me with packing the goodie bags for her classmates. 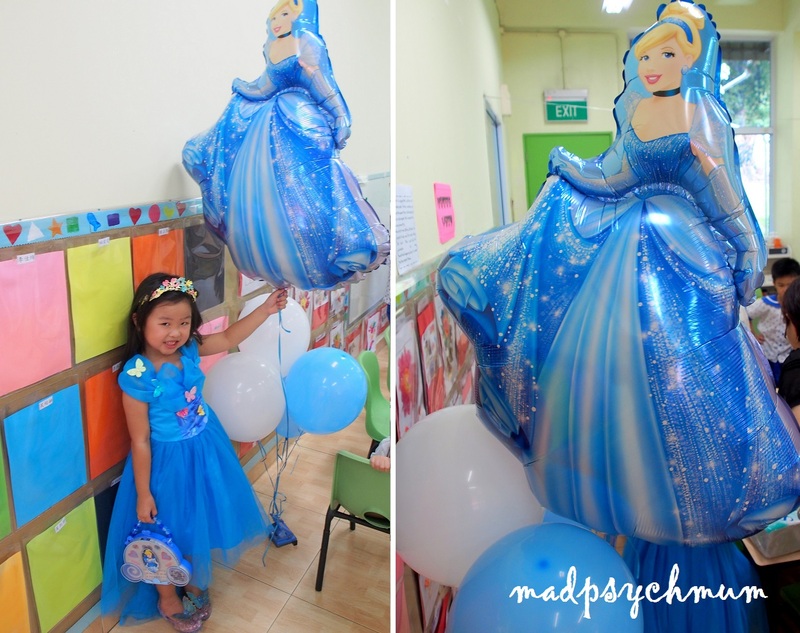 We ordered a Cinderella cake and her daddy also got her a big Cinderella balloon! We decided to have the party at her school (easier for us). 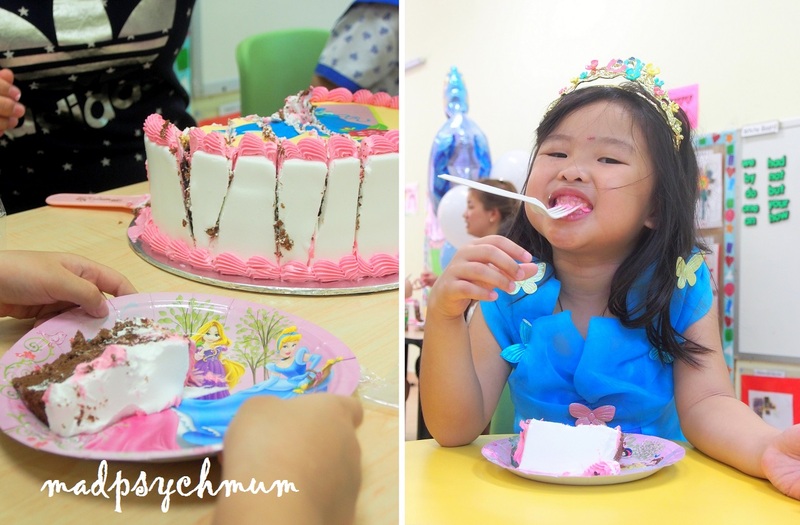 Happy 5th birthday my baby girl! A group photo with her royal subjects! 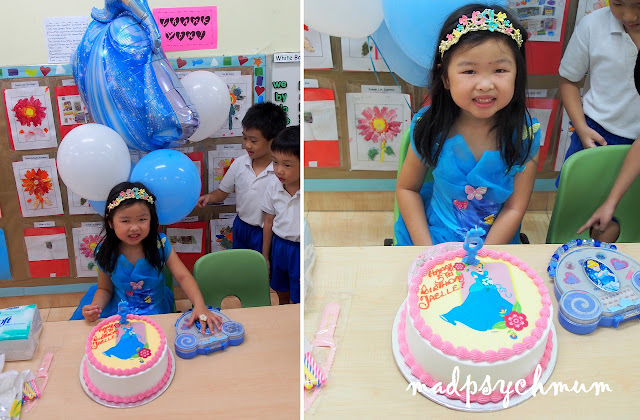 I can't believe that I have been a mother for 5 years! My girl has grown to become a pretty little sister. How fast time flies!